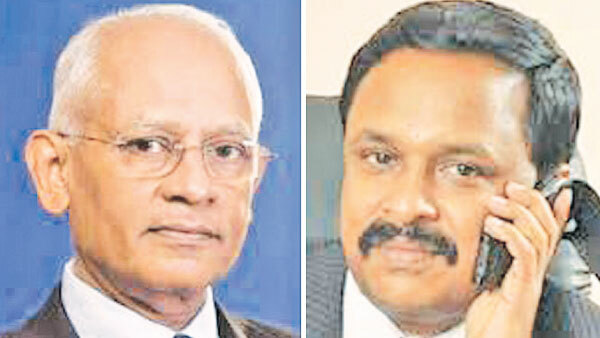 Two appeal petitions filed by former Secretary to the President, Lalith Weeratunge and former Telecommunications Regulatory Commission (TRC) Director General Anusha Palpita challenging the judgement of the Colombo High Court were yesterday fixed for argument on March 8 by the Court of Appeal. Lalith Weeratunga and Anusha Palpita were sentenced to three years’ rigorous imprisonment by the Colombo High Court for misappropriating Rs. 600 million of funds belonging to TRC. When the two appeal petitions came up before Court of Appeal Justice Achala Wengappuli, the Attorney General sought further time to file written submissions regarding the appeals. These petitions are to be taken up for argument before Court Appeal (Acting President) Justice Deepali Wijesundera and Justice Wengappuli. On September 7, 2017, Weeratunga and Palpita were found guilty of misappropriating Rs. 600 million of funds belonging to TRC in the controversial sil redi (fabrics used by devotees to observe sil) distribution case. Through their appeal applications, the two accused-appellants stated that they were seeking the jurisdiction of the Court of Appeal to review and set aside their conviction imposed by the High Court dated September 7, 2017. In their petitions, the accused-appellants stated that neither a sum of Rs. 600 million nor a part of it was utilised by them for their personal gains. They further stated that the High Court judge had given them a short period of time (13 days) to pay off the compensations. While handing out a lengthy judgement, High Court Judge Gihan Kulatunga had maintained that the prosecutors have proven the accused’s guilt beyond a reasonable doubt. The High Court judge further maintained that the accused had committed this offence dishonestly with the intention of gaining undue advantage for a particular candidate during the 2015 Presidential Election campaign. While observing that political motivation had led the accused to commit this offence, Weeratunge and Palpita were ordered to pay compensation of Rs. 50 million each to the TRC in lieu of losses incurred contrary to the Telecommunication Act. Each accused was further ordered to pay a fine of Rs. 2 million and in default of the payment of fine, they were to serve an additional year of imprisonment. The Attorney General had filed indictments against Weeratunge and Palpita under three counts in connection with a criminal misappropriation of Rs. 600 million belonging to the TRC during the 2015 Presidential Election campaign. They were found guilty of all charges. Counsel Kanchana Ratwatte with J. Ratnayake appeared for the appellant accused. Senior State Counsel Jayalakshi Silva appeared for the Attorney General.